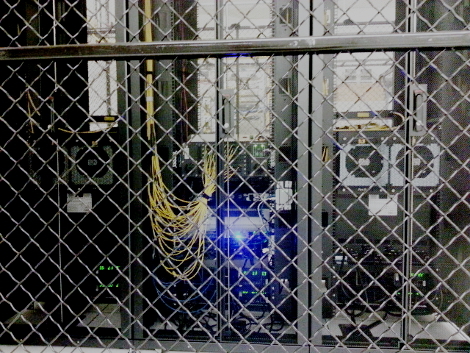 The Summit supercomputer at ORNL, designed by IBM and Nvidia. All supercomputers push the envelope when it come to speed, but that's not the only metric for being a supercomputer. There's a reason supercomputers can be wired to be so fast. They don't do anything but sit around and think. Sure, they tackle a lot of complex issues and solve plenty of previously unsolvable problems, but they don't get dirt under their nails or develop sore muscles from doing any heavy lifting. They just sit and think. A supercomputer, of course, isn't really a "computer." It's not one giant processor sitting atop an even larger motherboard. Instead, it's a network of thousands of computers tied together to form a single whole, dedicated to a singular set of tasks. They tend to be really fast, but according to the folks at the International Supercomputing Conference, speed is not a prerequisite for being a supercomputer. But speed does help them process tons of data quickly to help solve some of the world's most pressing problems. Summit, for example, is already booked for things such as cancer research; energy research, to model a fusion reactor and its magnetically confined plasma to hasten commercial development of fusion energy; and medical research using AI, centering around identifying patterns in the function and evolution of human proteins and cellular systems to increase understanding of Alzheimer’s, heart disease, or addiction, and to inform the drug discovery process. But in just about every way, supercomputers are not unlike many giant networks that never get the glory of being called "super," even though many of them are more powerful than Summit. They're not as fast, but they don't need the speed and probably couldn't use it if they had it given the capacity of some of the pipes they have to push their data through. But they're more than fast enough, and are pretty much responsible for keeping the world as we know it up and running. To do this, they've borrowed from their supercomputer kin. In fact, at least three of the big cloud platforms deploy supercomputer-like hardware of their own to provide high-performance computing infrastructure as a service for workloads similar to the ones that will be running on Summit. Another similarity is that big commercial networks liberally utilize GPUs for AI and other workloads. And like supercomputers, big networks deploy thousands and thousands of computers working as a single unit. Facebook: Nobody knows for sure how many servers Facebook deploys, but at the end of last year the company counted 11 data centers with more on the way, all filled to the brim with servers dedicated to keeping the social network afloat. And they're doing a lot of heavy lifting. According to figures released by Facebook earlier this year, it has 2.2 billion monthly active users, a number that's growing at 13 percent yearly, with each spending an average of over six hours on the site every month. According to The Social Skinny, every minute the site sees 510,000 comments posted, 293,000 statuses updated, and 136,000 photos are uploaded. That's a lot of heavy lifting, and it doesn't account all of the big data work being done behind the scenes gathering and crunching numbers on its users and using AI algorithms to present each user with a news feed customized to their individual interests. Google: These days Alphabet's Google has so many irons in the fire it's hard to keep track of everything it's doing. There's search, of course, which processes over 40,000 search queries every second; YouTube, which serves up a billion hours of video a day; Google Cloud Platform (GCP), which is the fourth largest commercial public cloud platform by market share; as well as business and consumer offerings, such as Google Drive and Docs. This isn't counting "little" side projects like YouTube TV, a streaming competitor to all the TV networks, which in January had 300,000 subscribers. Like in Facebook's case, that's only the tip of the iceberg, because Google makes most of it's money from advertising. This means resources spent following anyone with a Google cookie on their machine as they surf the web so they can serve them ads for things they bought yesterday. It also means its system is kept busy serving ads to practically every ad-supported site on the internet. 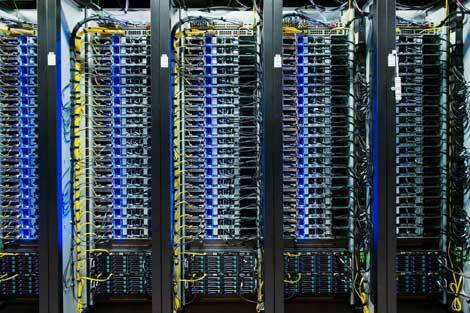 The last time we counted, Google had 15 data centers spread around the world serving its internal needs, plus all the GCP data centers that are outside of those regions and all the network Points of Presence. Microsoft: It's difficult to believe that just five years ago Microsoft seemed well on its way to becoming irrelevant. It had failed to get a toehold in mobile space, despite purchasing Nokia, which had once been the cell phone leader; earnings from Windows, then the company's flagship product, were dropping after the Vista fiasco; and sales of Office were stagnant, as many users chose to either stay with older versions or abandon Redmond's office suite for online service such as Google Docs. Things turned around rapidly, however, after Satya Nadella took the CEO reins and evidently found Microsoft's soul in the process. Today Microsoft seems very much focused and on track. Under Nadella's leadership Azure has arguably replaced Windows as the company's flagship offering and Office has found a new life, not as shrink-wrapped software designed to run on users' computers but as a cloud service, Office 365, which can be bundled with Outlook for an all-in-one solution for businesses. Skype, a money loser for years, now sees billions of dollars a year in annual sales with a user base that continues to grow. Microsoft operates upwards of 100 data centers around the world, most of them dedicated to Azure, the second largest public cloud on the planet by market share and ironically the world's largest distributor of Linux. Azure is also used to host Redmond's SaaS offerings, such as Skype, Office 365, and Outlook. The company's recent purchase of GitHub has grown the company's footprint even larger. Amazon: It'd be a good bet that not many people figured back at the turn of the century that a Seattle company trying to get traction selling books online would one day be one of the biggest tech powerhouses in the world. Not only has it become the largest global online retailer, much to the chagrin of established brick-and-mortar outfits, it's cloud platform, Amazon Web Services (AWS), has more market share than it's three closest competitors combined. Amazon's reach is so great that the average person probably bumps into its tech several times a day. That includes those who order online but never from Amazon, because so many websites are hosted on AWS servers that sooner or later an online shopper will place an order with the transaction handled on Amazon's metal. Watch Netflix? It's being streamed to you from AWS. The list goes on. So how much compute power does Amazon have at its disposal? In mid-2017 the company had 14 regions, with four more planned to be operational by year's end. Each region has from two to five availability zones, with each zone having from one to eight data centers. 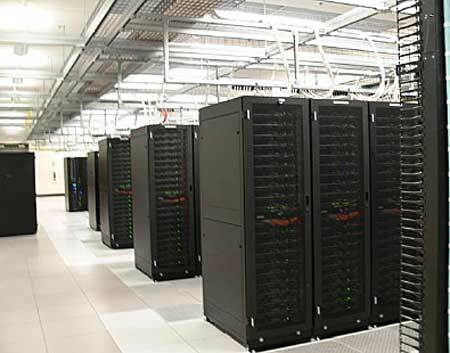 According to Amazon, each of their data centers houses 50,000 to 80,000 servers. The Internet: The internet of course is the big kahuna of supercomputers that aren't supercomputers, and including it here pretty much relegates all others on this list to being mere subsections of the one World Wide Supercomputer That Isn't. Even most of the "real" supercomputers on the upcoming Top500 list are part of the internet, just by dint of connection. Most figures here would be pretty useless because the numbers would be too big for mortals to truly grasp. Consider this: according to data compiled by Internet World Stats, at the end of 2017 54.4 percent of the world's population was online, which works out to over 4.1 billion people. We can pretty much say with certainty that every corporation on the planet, no matter how small, is in some way leveraging the internet. Every country on the planet does much of its business by way of the internet (the Russians and the NSA will back me up on this), and the fighters on both sides of every war have relied heavily on the internet -- albeit, some more heavily than others depending on financial and technical resources. There are many more such non-supercomputer networks, with those run by Baidu and Verizon immediately coming to mind. Like supercomputers, these networks are each dedicated to a single mission -- although that mission will certainly be much more diverse than those of "real" supercomputers. The people who run these networks are pretty happy with them not being lopped into the supercomputer category, partly because they're not (there is a need for a distinction) and partly because they're too busy keeping planes in the air, cars on the streets, food on the table, and yes, inane, meaningless, and often downright wrong conversations on social sites flowing. But the next time IBM, Red Hat, or Nvidia brags that they're behind the world's number-one supercomputer, tell them you heard from us that's not exactly true. There are supercomputers handling billions of workloads daily that would top the "500" list, except they don't get to wear the "supercomputer" badge for the sake of distinction. If they argue with you, talk to them about ducks or quote something Shakespeare said about roses.